We all know Dionysus as the god associated with drinking and parties, but the story of his invasion of India isn’t quite as well known. Apparently, in order to secure a place in Olympus, the wine god was ordered by Zeus to make war on the people of India. This appears to include not only what we now know as India, but other lands in between there and the lands better known to the ancient Greeks. There are several accounts of his deeds in the east, but the most thorough is in Nonnus’ Dionysiaca, written around the fourth or fifth century. 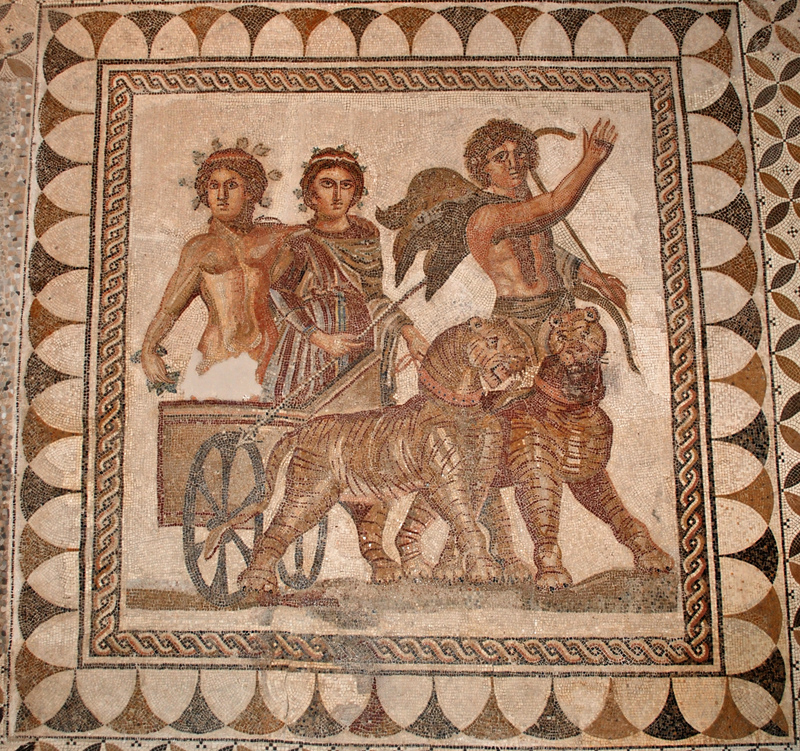 Dionysus rode a chariot drawn by panthers, and was accompanied by his satyrs and ferocious Maenads. The Indians didn’t take him all that seriously at first, but he managed to conquer many of them by turning water into wine, resulting in their getting drunk and easily captured. According to Philostratus, some Brahmans were able to hold their own against Dionysus’ army by calling down fire and lightning from the heavens. Hera, who was never all that fond of her husband’s children by other women, helped to defend India, at one point causing a Fury to drive Dionysus mad. The god fought several times with the Indian ruler Deriades, son of the river god Hydaspes, at one point changing shape in order to evade the king. Eventually, he forced Deriades to jump into his father’s river, and appointed one of his own followers as governor. While in India, he established the pillars marking the end of the Earth, although no one has found these pillars and obviously the world goes on beyond that. It appears to have been common in the time of Herodotus in the fifth century BC for the Greeks to think India was the easternmost inhabited country. 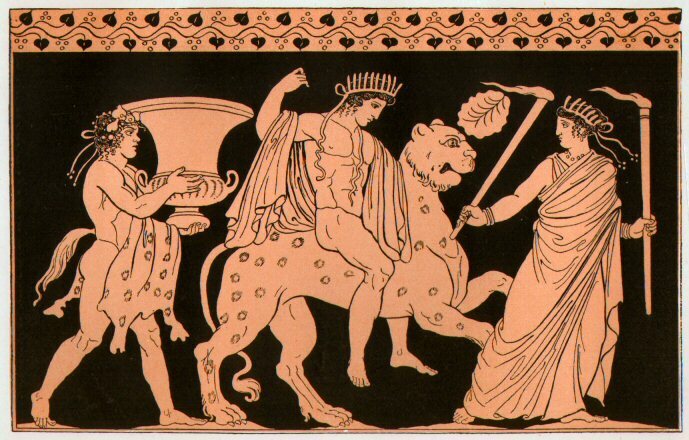 Dionysus is also said to have founded the city of Nysa, named after the mountain where he was raised, which Alexander the Great decided not to conquer out of respect for the wine god. It was identified with Dionysus due to the presence of ivy, a plant sacred to the drunken deity. 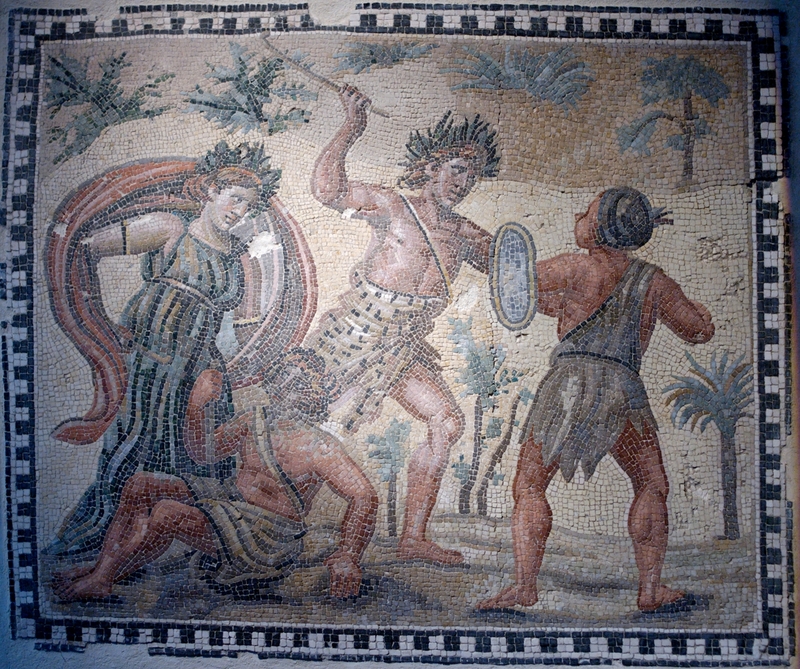 Hercules is also reported to have invaded India, either together with Dionysus or on his own. Apparently that was a rite of passage for up-and-coming gods in those days. This entry was posted in Greek Mythology, Mythology and tagged alexander the great, deriades, dionysiaca, dionysus, hera, hercules, herodotus, hydaspes, india, maenads, nonnus, nysa, pillars of dionysus, satyrs, zeus. Bookmark the permalink.